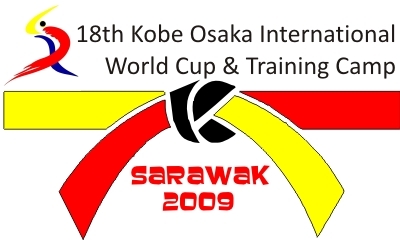 The 18th KOI World Cup and Training Camp was held in Kuching, Sarawak (formerly Borneo) and was attended by 30 countries and with over 725 entries in the competition. Fortunately the huge stadium could accommodate 8 tatamis with ease and we had plenty of room for everyone. The hosts Asahi Karate Club Kuching under the leadership of Sensei Hussin bin Osman and assisted by Loh Beng Hooi obtained massive Government support and we literally wanted for nothing. The welcoming dinner was attended by 500 competitors and the Sarawak Tourist Board laid on a wonderful cultural show with dancers and headhunters! The headquarters hotel was the Kuching Hilton and the staff there did a sterling job for the 18th Congress meeting and the dinner afterwards. Vincent Chen who is arranging the manufacture and supply of a wide range of KOI approved karate equipment dealt with the computers and scoreboards and Nakasone of Shureido Karate-gis was also there to lend his support. The three day referees course, together with the competitors training together in the camp paid off again in that the few injuries there were during the World Cup, were all superficial; not a single competitor required hospital treatment! Our thanks to the course instructors who did a fantastic job passing on their knowledge to the KOI family. In KOI we count each affiliated group separately and so Kobe Osaka Russia under the leadership of Kamil Mousin once again topped the medals table. However if we count by country and include the medals from Sabah, Sarawak, Labuan and Pahang, together with the Malaysian Karate Federation, then Malaysia takes the top spot. Thanks again to all our referees and judges, to the local volunteers who manned the tables and did the thousand and one other jobs that are needed at every big event and all of those who gave of their time so willingly. What a terrific job they did and by running the opening ceremony on Thursday we completed the last category in time on Sunday afternoon! To all our tired and weary workers, well done, you made KOI 18 another resounding success. The Training Camp was very well attended with Sport Kumite handled by Richard Callaghan and Marco Mazzanti (Australia) and Sergey Ivanov and Rafael Akchurine (Russia). The Shotokan section was looked after by Jaap Smaal (Netherlands), Loh Beng Hooi (Sabah), Pham Quoc Trong (Viet Nam) and Robert Hamara (Norway). 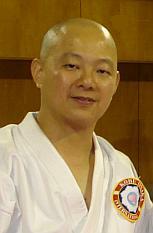 The Shitoryu section was taught by Patrick Lim Chee Jin (Malaysia) and Ricky Lim (Philippines). Unfortunately due to illness Steven Morris was unable to attend thus missing his first KOI World Cup and Training Camp since KOI 1. We look forward to seeing him next year. On a brighter note Sam Morris, Steven's son and Tommy's grandson, won the Gold medal in the 14/15 years old Cadet Kata. He has also been selected to represent Scotland in the WKF Junior and Cadet Championships in Morocco this November. Looks like he's following in the Morris family's footsteps. We were fortunate to have the services of so many excellent referees and judges, too many to list all of them here so please excuse us if your name is not listed. 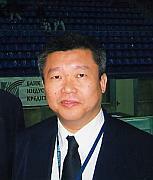 Among our long time friends and top referees were Roland Lowinger (who did a great job of scheduling the entire tournament) and Klaus Sterba from Germany, Jaap Smaal, Patrick Lim Chee Jin (who is the Asian Karate Federation's Referee Council Chairman), Loh Beng Hooi, Pham Quoc Trong, Robert Hamara, Mohammad Ali Mardani and Javed Salimi, Thiagu and Thennavan Ponniyah, Donald Kolopita and Jesse Toelle, Sara and Kaspar Reinhart, Ricky Lim and Chino Veguillas, Sergey Ivanov, Vadim Filippov, Oleg Koshelev, David Sung and Fung Wai Kwan, Hatem Fathy. Thank you and all those un-named who gave us their time and expertise so willingly thank you so much, we couldn't do it without you. The referees course was attended by more than 80 persons and the practical examination was conducted using the 18-20 year old male and female categories which started on Thursday 23rd July and continued over the three days of the World Cup itself. The Congress took place in the Kuching Hilton Hotel followed by a buffet dinner. As always a big thank you to all the people who make the KOI possible; the competitors and coaches for their continued support and the effort they make to bring their competitors and students, the WKF, Continental, International and National referees and judges, the team leaders and heads of delegation, the medical, organisational and security staff all of whom contributed to another fantastic and successful Kobe Osaka International World Cup and Training Camp.